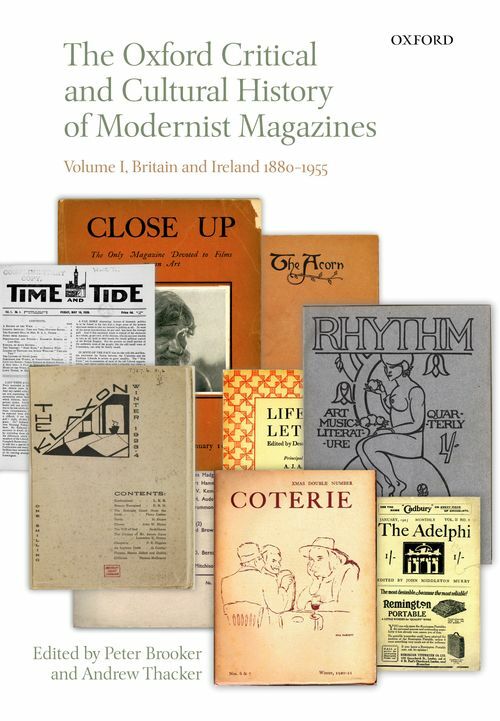 The first of three volumes charting the history of the Modernist Magazine in Britain, North America, and Europe, this collection offers the first comprehensive study of the wide and varied range of 'little magazines' which were so instrumental in introducing the new writing and ideas that came to constitute literary and artistic modernism in the UK and Ireland. In thirty-seven chapters covering over eighty magazines expert contributors investigate the inner dynamics and economic and intellectual conditions that governed the life of these fugitive but vibrant publications. We learn of the role of editors and sponsors, the relation of the arts to contemporary philosophy and politics, the effects of war and economic depression and of the survival in hard times of radical ideas and a belief in innovation. The chapters are arranged according to historical themes with accompanying contextual introductions, and include studies of the New Age, Blast, the Egoist and the Criterion, New Writing, New Verse , and Scrutiny as well as of lesser known magazines such as the Evergreen, Coterie, the Bermondsey Book, the Mask, Welsh Review, the Modern Scot, and the Bell. To return to the pages of these magazines returns us a world where the material constraints of costs and anxieties over censorship and declining readerships ran alongside the excitement of a new poem or manifesto. This collection therefore confirms the value of magazine culture to the field of modernist studies; it provides a rich and hitherto under-examined resource which both brings to light the debate and dialogue out of which modernism evolved and helps us recover the vitality and potential of that earlier discussion.